San Francisco, CA – The Archives and Special Collections department of the University of California, San Francisco (UCSF) Library, in collaboration with the San Francisco Public Library (SFPL) and the Gay, Lesbian, Bisexual, Transgender (GLBT) Historical Society, has been awarded a $315,000 implementation grant from the National Endowment for the Humanities. 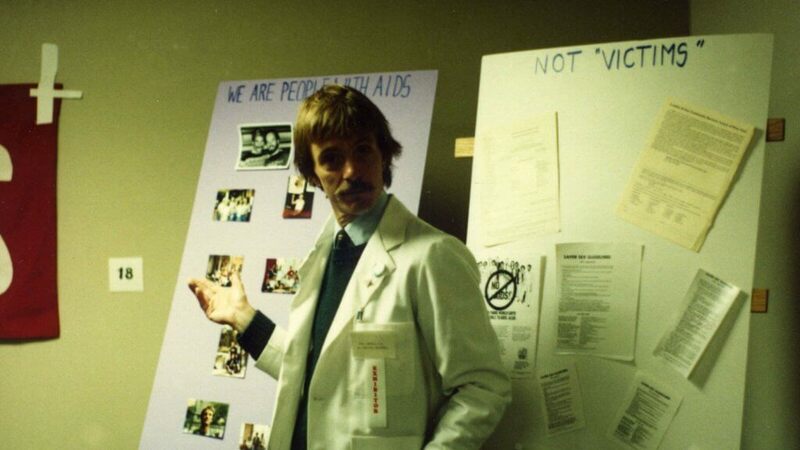 The collaborating institutions will digitize about 127,000 pages from 49 archival collections related to the early days of the AIDS epidemic in the San Francisco Bay Area and make them widely accessible to the public online. In the process, collections whose components had been placed in different archives for various collections- acquisition reasons will be digitally reunited, facilitating access for researchers outside the Bay Area. The 24-month project, “The San Francisco Bay Area’s Response to the AIDS Epidemic: Digitizing, Reuniting, and Providing Universal Access to Historical AIDS Records” will commence on July 1, 2017. The 127,000 pages from the three archives range from handwritten correspondence and notebooks to typed reports and agency records to printed magazines. Also included are photographic prints, negatives, transparencies, and posters. The materials will be digitized by the University of California, Merced Digital Assets Unit, which has established a reputation for digitizing information resources so that they can be made available to the world via the web. All items selected for digitization will be carefully examined to address any privacy concerns. The digital files generated by this project will be disseminated broadly through the California Digital Library, with the objects freely accessible to the public through both Calisphere, operated by the University of California, and the Digital Public Library of America, which will have an AIDS history primary sources set. Paul Volberding, Professor of Medicine, UCSF; Director, AIDS Research Institute; Director, Global Health Sciences Research; Co-Director, UCSF-GIVI Center for AIDS Research. Digitizing, Reuniting, and Providing Universal Access to Historical AIDS Records” will commence on July 1, 2017.